From north to south, and from the Pacific to the Andes, this sliver of a country boasts a collection of distinct terroirs—and wines to match. Faced by an array of Chilean wines in their neighborhood wine shop, most consumers base their buying decisions on price and grape variety. But a little learning will go a long way to steer you toward the best wines on the shelf. Knowing which of Chile’s wine regions are best for certain varieties or styles will help you pick winners, time after time. And when it comes to Chilean terroir, nobody knows more about where specific grapes grow best than Pedro Parra, Chile’s pre-eminent expert in soil composition and the impact that climate has on the wines his country produces. Nicknamed the “Terroir Hunter,” Parra, who holds a Ph.D. in agronomy and wine-specific terroir from the Institut National Agronomique de Paris-Grignon, has conducted more than 20,000 soil studies, the majority in his native Chile. Parra holds that Chile is blessed with diverse terroirs that strongly influence the characters of its top wines. Yet, these terroirs are not entirely unique to Chile, according to Parra. 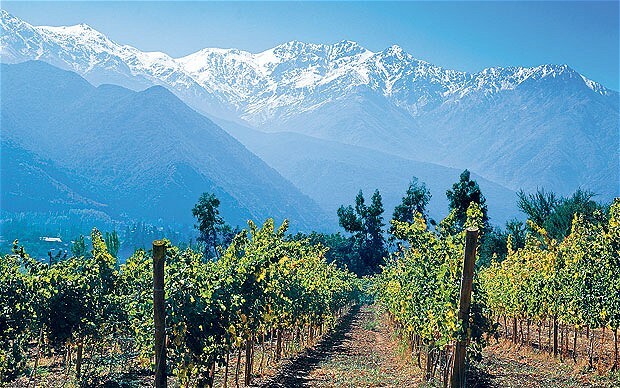 He suggests that some of Chile’s best terroirs are similar to those in some of the world’s most lauded wine regions. Likewise, “Without knowing the soils and climate along California’s Sonoma Coast, you wouldn’t know that it’s almost exactly like the Leyda Valley in Chile,” says Parra. Following are overviews of four of Chile’s most prominent wine regions, including a look at each region’s terroir and a dozen recommended wines that capture the country at its finest.